Dubai is a business hub where businesses of every type are booming. This fact is accepted by people from all around the world who have made Dubai their residential place as there are more than 80% foreigners living in Dubai and many among them are there to explore business opportunities in the city. One such lucrative business opportunity is related to international trade (import and export) of products. Dubai is a coastal city located at a strategic location and the area includes two seaports of Jebel Ali Port and Port Rashid. The government of Dubai is trying to utilize its position to its full potential by providing lucrative business and trade opportunities in these seaports for traders. One such opportunity is the presence of free zones in these seaports and their nearby areas in Dubai. All these free zones provide best opportunities for international traders for import and export of products. Few of the best facilities provided to these free trade zones are: complete foreign ownership, exemption from income tax, 100% repatriation of profits and exemptions from import and export tax. Jebel Ali is a man-made seaport that started its operations in 1979. The port is currently the biggest and the busiest port in the Middle East while it is also the world’s largest man-made harbor. Jebel Ali is also hosting an important free zone, Jebel Ali Free Zone (JAFZA). The international importance of JAFZA is evident from the fact that around 100 companies among the world’s 500 biggest companies are based in this free zone while there are over 7,000 global companies in JAFZA. This specific free zone is located inside Jebel Ali area which makes it an ideal place for any import and export business. It is because the area is closer to the biggest seaport of Middle East along with holding the benefits available for free zone areas. 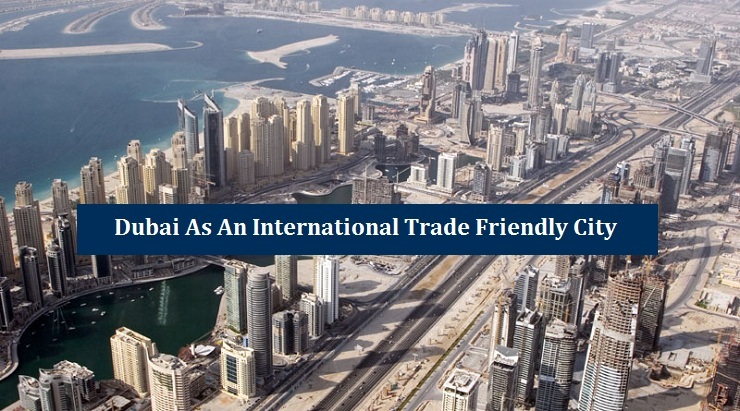 Apart from JAFZA, there are other free trade zone areas also present in Dubai. Most of these free zones are located closer to ports and provide best opportunity for international trade. Dubai deals with three types of international trading (import and exports) business. These include: import, import for re-export and export of products and goods. Dubai Customs (website) is the department that registers companies for import and export business. All these activities have different registration process and an interested company needs to submit required documents for registration.